Festival crowds love having their pictures taken, and love posing for the shot. When they see the funky festival photo booth van, they clamor to the front and hilarity ensues without fail. 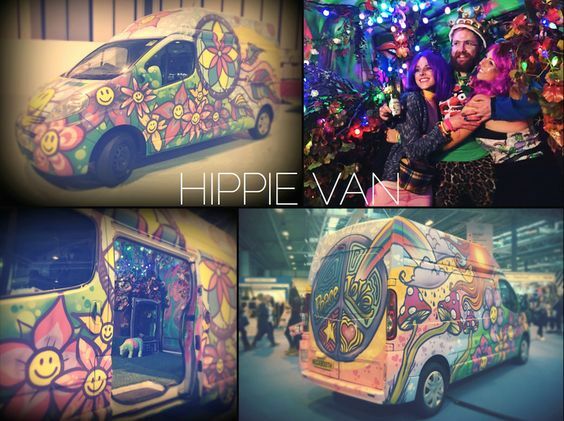 The Festival Photo Booth Vans have worked at top events in the past including Glastonbury, Bestival, T In the park, Lovebox, Creamfields and many more. 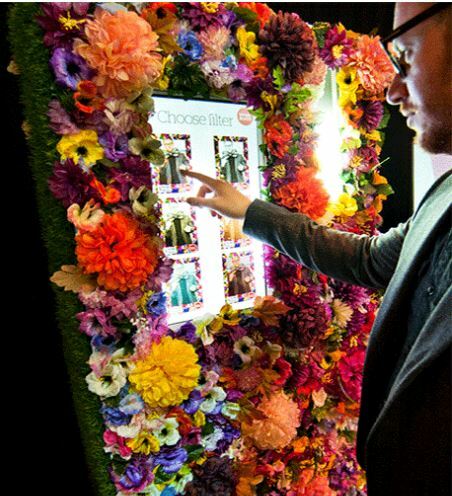 The festival flower power photo booth is set to take the summer events by storm, the exterior is awash with colours and looks like an advert from the 1960s and early 1970s. 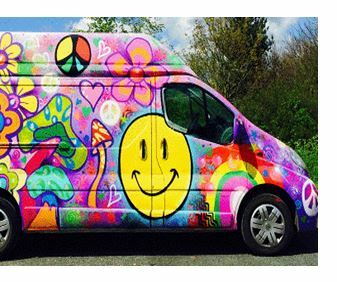 A symbol of the free spirited and non-violent ideology many people adopted during the decades of flower power, peace and love. Inside all the festival photo booths are top of the range powerful SLR’s to take professional quality pictures. What better way to break the ice than to encourage your guests to have their photographs taken? When you book the festival photo booth, the packages includes a box of props that you can either customise or leave up to us to decide your fate, branded photos and 1 or 2 members of staff to jump in on your selfies and occasionally photo bomb your pictures.